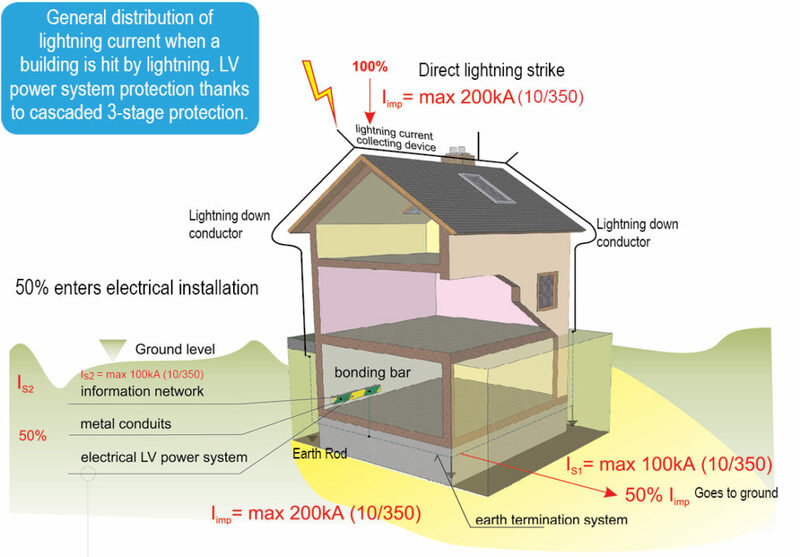 The diagram above shows a building fitted with external lightning protection. The maximum lightning strike of 200kA 10/350μs which can strike the building will dissipate through the external lightning conductor system, 50% will go to earth via the earth rods. The remaining 50% will enter the building directly on to the main incoming panel as the external lightning protection system is cross-bonded to the main incoming earth bar. This is why it is mandatory to install a T1+2+3 combined lightning and surge arrester on the main incoming panel. The maximum rating of a combined lightning and surge arrester is 100kA 10/350μs. If the building has sub-distribution boards more than 10 metres away from the incoming panel, these boards will require additional protection. 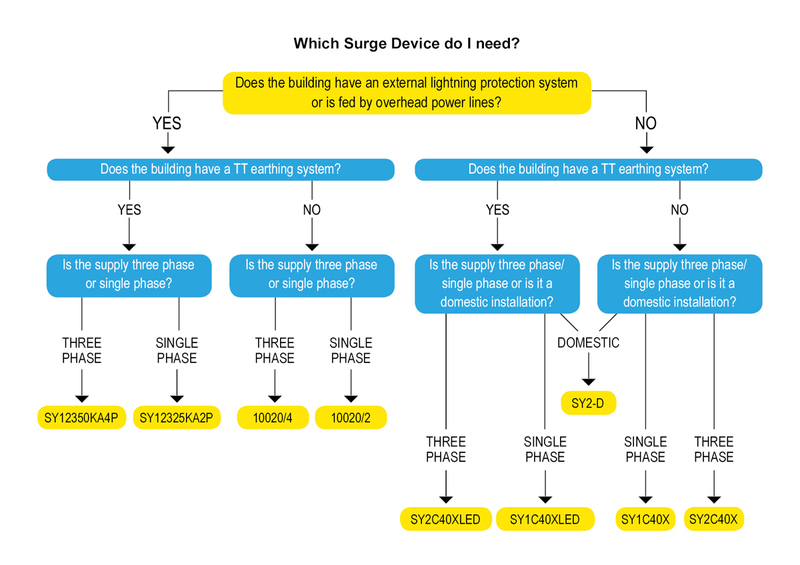 Usually a Type 2 surge arrester is sufficient here unless you are feeding outside final circuits, when a combined Type 1+2+3 surge arrester will have to be fitted. If you have any doubts please call our technical helpline direct on 01484 851 747.